This economic tool called the Budget, derived from taxes and government profits amongst other sources, can be used by Small and Medium Enterprises (SME) for the furtherance and enhancements of its operations and micro-economic schemes. Budget gives the government the impetus to make political commitments, policies, and goals as to how much funds are needed, how these funds are generated and finally where to use these funds. Thus economic growth as well as every citizen’s future, hangs on a well prepared, enforced and sustained budget. To ensure that a good budget is arrived at, every economy must undergo some sort of budget cycle. The Budget Department under the Executive Branch, writes down a budget plan which it submits to the Legislature. The legislature or parliament then debates, alters and approves it. It then goes to the President for approval and subsequent execution – it implements the budget, monitors and controls it through the audit department and other agencies tasked for it. Finally, the audit and legislative make oversight assessments : reviewing the applications of the budget and making sure that it is being used where it is intended. Now part of the budget may include a portion set aside for SMEs. SME are best defined on the basis of size or amount of capital (assets less liabilities), or the total profit it turns over per annum, or the number of employees. Thus, within this framework, are SMEs classified as small or medium. Thus, government seeks to spend part of its budget on SMEs. A very good example would be the UK government which seeks to spend 25% of its budget on SMEs. 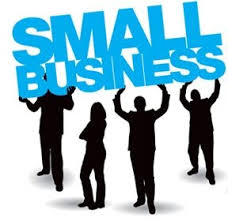 SMEs play a huge role in the development of the economy. These keep the economic wheel of the country turning with their micro-economic impact in terms of production of goods and services as well as employment. Not only for existing companies, more and more new companies are being setup at Singapore by businessmen and entrepreneurs. Mostly they would seek for advisory with professional corporate management firm which has providing company incorporation services. One of the common grants approved in the Budget for SME is MYOB accounting software, that granted through Productivity and Innovation Credits scheme (PIC). To continue support on the assets granted, we provides various accounting services for further assistance to the Company in Singapore. For example, if there any questions arise in your works relate to accounting software such as MYOB, we are ready to assist you further. If the company having high staffs turnover with no human resource available, we could support you on your headcount issues as well. Find out more services which our firm may assist you further in your company.